Canned milk is cow milk that has had all the water removed. Canned milk is much thicker than evaporated milk. While you can purchase unsweetened canned milk, most brands do have added sugar. Most recipes that call for "canned milk" are calling for sweetened canned milk. It’s a common baking ingredient. Sweetened condensed milk is a popular method to sweeten coffee quickly. There are several brands to choose from, so it's pretty much a matter of personal preference when selecting evaporated or condensed milk. Cans or containers that are swollen should be avoided at all costs as this means the seals have been punctured. The swelling is caused by the gasses that are released from spoiling milk building up in the can. You will also want to avoid purchasing cans that are dented. While they may seem fine, dented cans are a huge source of botulism poisoning. The dents — especially around seams — allow bacteria to enter the can which can get people sick. Store in a cool, dark place away from heat. Since the milk solids can settle to the bottom, you must be sure to turn stored cans upside down every few weeks. While canned milk will keep far longer than uncondensed milk, you will still need to use it within six months. If you're using canned milk in your coffee, it's unlikely that you'll go through a whole can in one sitting. Using a standard can opener, punch holes in opposite sides of the top to allow airflow for easy glug-free pouring. If you have leftovers to be stored, you can cover with plastic wrap secured with an elastic band or pour into an airtight container and refrigerate. Open cans exposed to air will pick up unwanted flavors from your refrigerator so you'll want to keep your cans covered. The same storage procedures go for sweetened condensed milk in general. 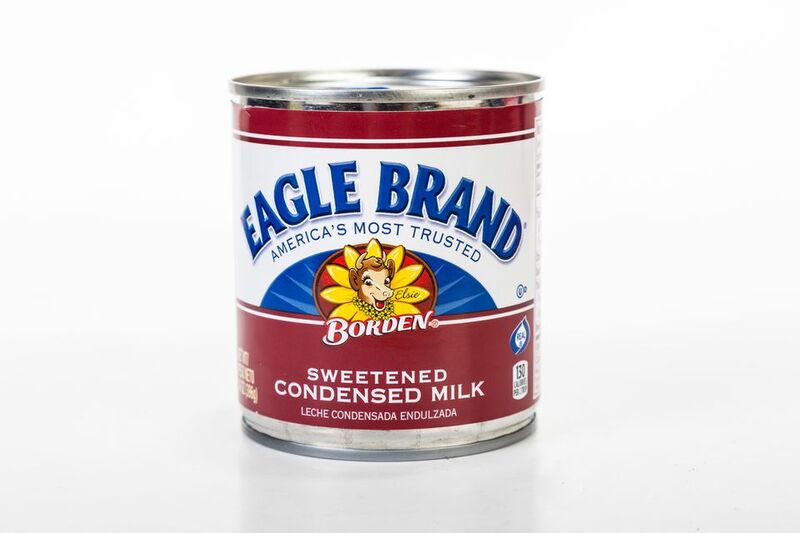 Unlike evaporated milk, condensed milk usually does have an expiration date, so check the can label closely when purchasing. Both should always be refrigerated after opening. Due to its high sugar content, condensed milk will last longer after opening than evaporated milk but use both optimally within five to seven days after opening. Freezing of evaporated milk is not recommended. The milk solids separate from the water when thawed and no amount of stirring, shaking or blending will completely homogenize it back to its original texture.